During term time there is a Junior Church for children during Sunday worship, and a creche for small children. We all have fun with a great variety of activities whilst learning in an informal way about the Christian faith. We paint pictures, make models, listen to stories, go outside or if it's rainy perhaps even watch a video on our projector. When the service finishes we clear away before the grown ups come and join us for a cup of tea and a biscuit and perhaps to admire anything that we have made. The Junior Church and creches run by a small team of volunteers who we really appreciate! 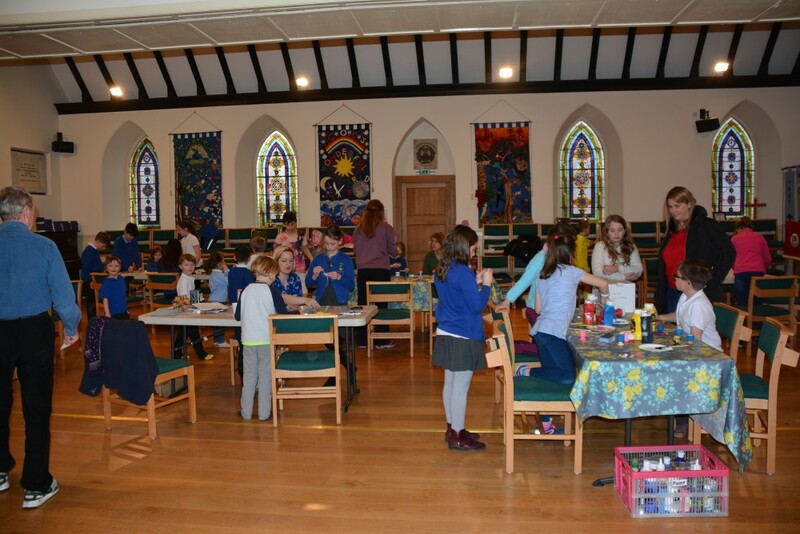 On the first Wednesday of every month outside of School holidays we have a Messy Church service, with usually 15-30 children attending. We have fun with crafts, have a short service with some singing, then finish off with a hot meal.